The time has come – we are heading to Europe for 3.5 months over summer and we could not be more excited! Along with that excitement, however, comes lots of practical considerations – like what we should be packing for Europe in summer! Our carry on only experiment for Sri Lanka went very well – so well, in fact, that I don’t see us going back to travelling any other way. Our packing list that time worked out very well, but we are going to make some edits for our packing list for Europe. Although we are only spending summer in Europe, I have a feeling we are still going to find some parts cold now that we are used to living in the tropics. I was surprised to realise that some places in Europe are actually colder in September than our home city of Melbourne in winter anyway! This will make things tougher. Packing light for Europe would be easier if everywhere was hot! Taking even an extra pair of trousers and jackets for 4 people adds a lot of extra required space. I am not sure we could even make a legitimate carry on only packing list for Europe in winter. We are sure we are up to the carry on only challenge! My biggest tip, naturally, is to pack light. You are far more likely to regret taking too much than not enough. You are not going to have too many problems finding anything you need on arrival. Our packing essentials for Europe basically consist of everything we can get cheaper here (eg toiletries) rather than in Europe and enough clothes so that we can go at least three days without needing to do washing. Hand washing in sinks as we go is just not something we find possible with little kids. They get far too dirty and there’s just too many clothes between all of us. My biggest packing tip for Europe is to take a good backpack or suitcase (you can read my thoughts on which option here). The biggest mistake I have made luggage wise was on my first trip to Europe at 21. I borrowed a mate’s backpack. He was a very tall man and the results were ridiculous. When I had the pack on, it was taller than me and I was nearly toppling over all the time. I also had it completely full which was ridiculous. 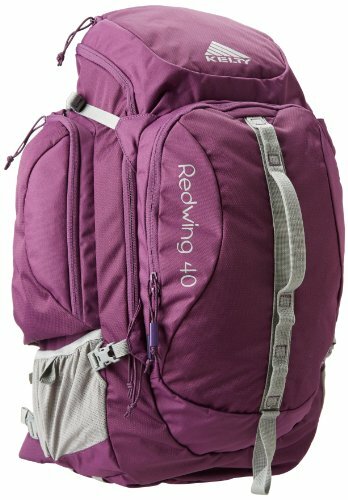 I am absolutely in love with my Kelty Redwing Backpack. It is 40 liters and holds a lot. It is allowed to be carried on board flights, although if I filled it completely it would become too deep for their measurements. This is actually really good as it means I leave home with it about 1/3 empty just to be safe (although no one has ever checked me yet) and then I have a lot of room to carry extras once we are at out destination and travelling overland – I have been able to fit a whole 44 pack of XXL nappies and two 1.5 liter bottles of water in the side pockets on top of all my own luggage, toiletries, laptop etc on arrival. It is just perfect for me. If you are thinking about finding your own perfect backpack, I have a whole article dedicated to finding the best one. If you have kids, you will also have to find the perfect bag for them. Since my kids are young, we have found our Trunkis to be absolutely unbelievable and the key to our success in travelling carry on only. They are big enough to hold their own clothes and toys and since they can pull them along, we don’t have to worry about them being too heavy for them to carry safely. They also have the added benefit of providing a seat while we are waiting and something for them to play with. The other absolutely essential item is good shoes – you will be walking around a lot! I am a big fan of Columbia and shoes such as these. I find them to be very high quality – comfortable, long lasting and lightweight. 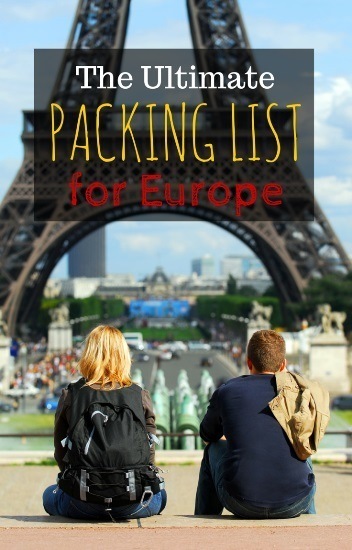 FYI Our trip is for 3.5 months, but I would not change our list of what to pack when travelling to Europe whether we were going for this long or just 2 weeks. However, if I was just going to the Mediterranean countries in the middle of summer, I would cut down on the warmer clothes. Those places are hot! Our kids are only 3 and 5, so they still get dirty quite easily. Otherwise, I would take less clothes. They still use nappies at night time. I will be so happy when we no longer need them!! Here’s a list of essential travel toiletries. Double adaptor – We have this with the same sockets and plug as our appliances – so Australian. We then use this with our adaptors so we can charge two things at once without taking a second plug adaptor for every socket type. Guide book information (we print out the maps from Lonely Planets we purchase in PDF form). Space saver bags x 2 – I am not a huge advocate of these as I find it hard to save much space with them in backpacks. However, they are handy to keep the seasonal clothes we are not currently using out of the way. Click here to download our general carry on only packing list in a PDF! We have travelled with these in the past and find them extremely handy for an extra bed. This way, we can then book just a double room and we can all fit (we just don’t get any sleep with all of us in one bed, so that doesn’t work for us). This can be a great way to save money. However although it is quite compact, it is our biggest item after nappies. We could probably still fit it, but we think we will barely need it over the 4 months and I hate taking stuff, especially bulkier stuff, just in case. We are primarily staying in Airbnb apartments in Europe which always have sleeping space for us. If once or twice we have to spend extra money on a room for not taking these things, then I can live with that. If you are planning on staying in hotels with kids then you may want to add these items to your summer packing list for Europe. 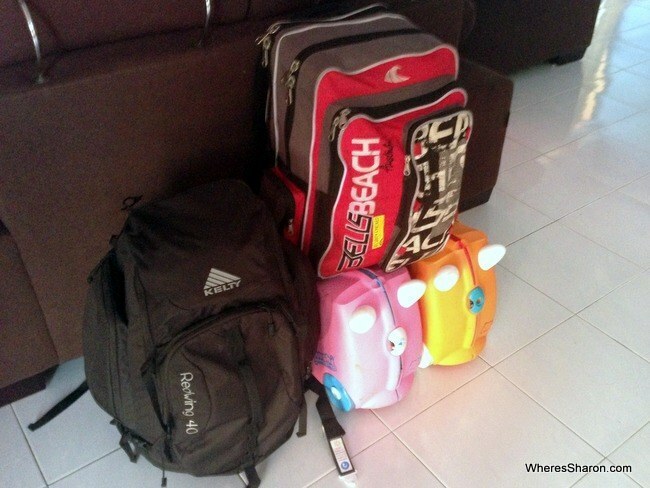 You can also view our other carry on packing list and our family packing list from when we travelled with suitcases. So our Europe trip has just finished. How did this packing list go? Very very well! It was perfect for our trip. The only thing we changed was that we added a stroller that we bought over there. With hindsight, I wish we had bought it beforehand as we were stuck buying what was available which was a bit bulky. So, what do you think? 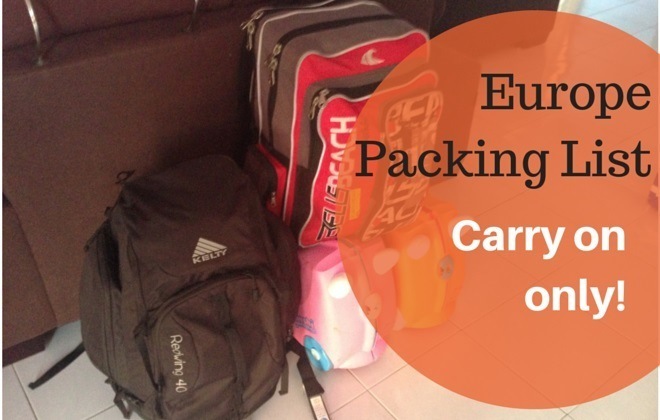 Are we missing anything from our Europe trip packing list?